From cheap 8×10 prints to 24×36 poster printing, RitzPix is your go-to site for all things photo printing. In addition to enlarged prints, we also offer banners that you can create yourself for any occasion. Looking to make a statement at a party or advertise your business? Perhaps, you’re attending a trade show or convention. No matter the reason, we offer customized banners that you can design with photos, personalized text, and our huge selection of designer templates. Let your creativity and flow and make your own banner online with RitzPix! 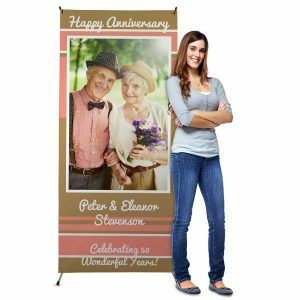 Whether you’re planning an anniversary celebration, birthday, or homecoming, RitzPix has everything you need right here to help you create the perfect banner for your next festive occasion! 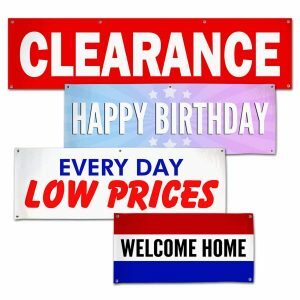 We offer personalized banners for birthday parties that are sure to complete your birthday bash décor! Upload a photo of the birthday boy or girl, add some text and pick their favorite color for the background to complete the look and feel of the celebration! Check out our complete selection of party banner designs. You can design anything from personalized banners for graduation or a baby shower banner for your best friend! You can also choose from various styles including cheap vinyl banners for outdoor use, or custom paper banners for indoor affairs. Looking for graduation party ideas? Create custom graduation banners at RitzPix to liven up your celebration! We offer a wide range of banners in different sizes, materials and custom layouts which you can design using your grad’s best senior photos. Add text, or include your own artwork to make it truly unique. Whether you’ve planned to have your party indoors or outdoors, we have the perfect banner waiting just for you. As far as graduation decorations go, your grad party is not complete without a personalized banner! Banners are also a great way to promote your business! We offer several options including hanging custom vinyl banners, retractable banners, or standing banners. 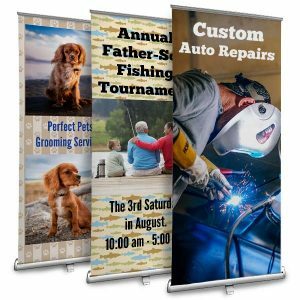 Just choose which banner works for you best and start designing it using our custom banner maker. All of our templates are available right at your fingertips or you can order a pre-printed stock banner that fits your needs. Maybe your shop is having a sale and you want to grab the attention of potential customers from the street. Order one of our standing banners. It’s made from vinyl so it’s perfect for outdoor use and includes a collapsible stand making setup a snap! You can add an attractive photo of some of your merchandise and include text with bright colors to get foot traffic through your door. Our vinyl stock banners are another great way to garner interest in your business whether you have a restaurant, offer a needed service, or own a clothing shop. From now hiring banners to retail sale banners, you can place your order in minutes and have your banner delivered to your business. All stock banners are pre-printed so they are conveniently shipped once your order is placed. Our roll up banners are perfect for outdoor use and great for formal affairs. If you’re planning the remaining details of your wedding, why not create a wedding banner for your reception. You can display it outside of your venue to welcome your guests in style. They also make great business banners which you can display everyday outdoors to get customers through your door! If you’re looking for more personalized photo banners like our retractable option, check out our stand up banner. They’re great for special events, store advertising, and more! Just set them up outside your venue, store, or business and grab the attention of passersby. 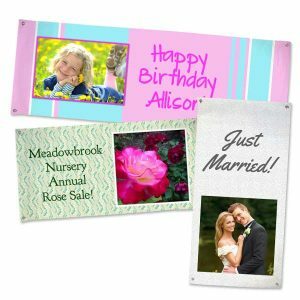 Personalized photo banners are a great way to add your own personal touch and express your style! You can’t go wrong with our classic custom vinyl banners. They’re perfect no matter what you’re using them for. Customers particularly like using them for graduation and birthday parties. Upload a favorite photo from your phone, then choose a template and add your text to complete your layout. Or, you can design your own artwork and upload it to RitzPix to fit it to your selected banner size. We also offer paper banner printing! For indoor use only, they’re ideal for parties and celebrations at home! Design one for an upcoming birthday, baby shower, Halloween, Christmas or any other special occasion. The ability to design your very own custom party banner is a great way to add a personal touch to your décor. Choose from a range of background patterns and colors to compliment your photos and the overall theme. Don’t need to design your own banner? 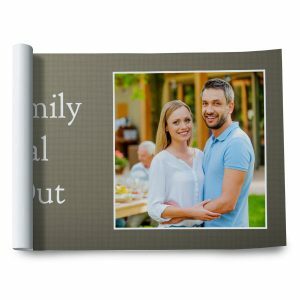 We have dozens of pre-printed stock banners for virtually any occasion that are made ready to order. From our Welcome Back Banner to our Clearance Sale Banner, you can simply choose the banner you need, select a size and place your order! They’re made with durable vinyl and include metal grommets for easy display anywhere. RitzPix makes custom banner printing easy! 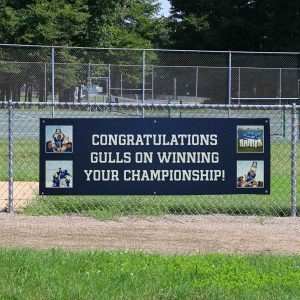 We have a wide selection of custom options to choose from so you can create a banner for virtually any occasion. Add a little character to your party or make a showy advertisement for your business to gain clientele. Design your banner, you way! Just gather your photos, upload your own artwork and use our product builder to turn your masterpiece into a reality!